When you think about it, even NARUTO had dudes getting minced into blood clouds. Early on in my lifelong perusal of neckbeard fantasy, I found that if an animated series was liberal with its blood and gore, there was a good chance I’d love it. Nearly every highly regarded anime can make its horror influences known, but true terror typically serves an adjunct role. For one, animation is naturally less scary (save for claymation *shudders*) because it’s safely set in a fabricated world. With possibilities being endless, artists usually aim for fun, but some reach a point where all they desire is the soul of their audience, or at least a bit of their innocence. Sometimes they’re sneaky. Hideaki Anno set the standard for subverting genres in EVANGELION, leading Gen “The Butcher” Urobuchi to craft a Lovecraftian romance in SAYA NO UTA. Similarly, only anime that have evoked their own special brand of dread made it on here. For a few, subversion is clearly the name of the game, as you are reeled in with cute characters, only to be later force fed their ground meat remains. Others hold little-to-no restraint, bombarding viewers with unrelenting terror from the get-go. But all six should prove to be as disturbing as anime can get. 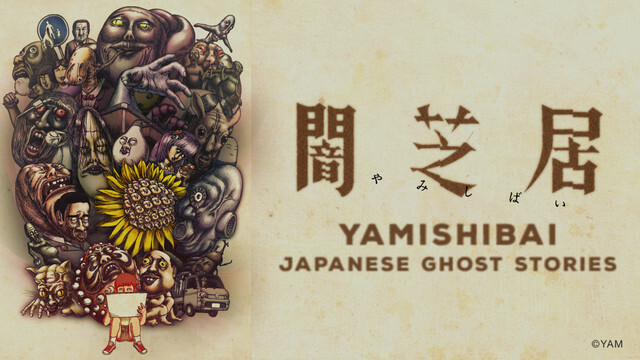 Kicking things off with the most digestible entry, YAMISHIBAI is a short form horror anthology series that uses a papercraft theater style to make nearly every frame unsettling. All episodes are standalone and last about four minutes each, but are filled with disquieting haunts that are sure to make you look behind your back. Some of them are monkey’s paw-style moralistic tales a la XXXHOLIC. The rest rely on the sheer inventiveness of their scares. Who wouldn’t love a haunted copy machine? There are hints of rich Japanese folklore and myth that come naturally with the title, but don’t expect these tiny clips to be a crash course. In fact, being ignorant of these subjects makes each episode all the more scarier. While working at his uncle’s antique store, young Eiri takes a liking to a beautiful goblet made of Venetian glass. 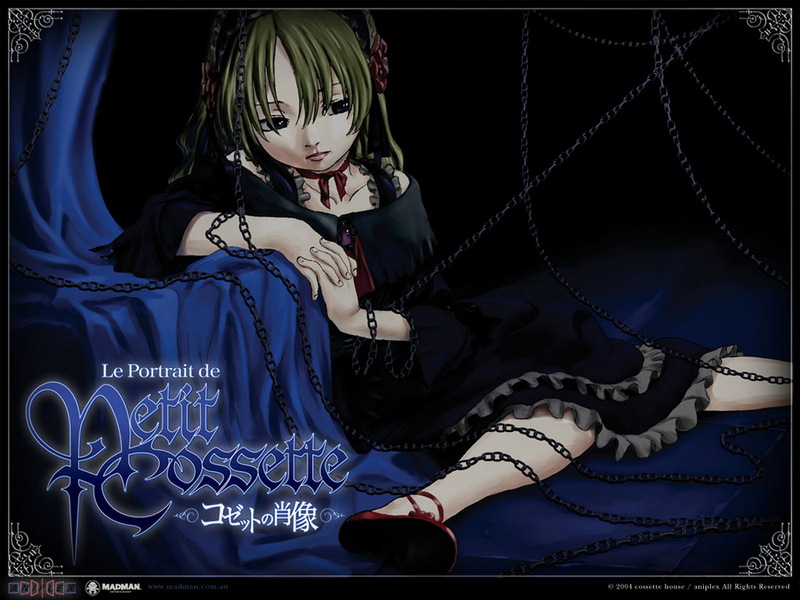 As his obsession grows, he finds that the object harbors the spirit of Cossette, a young girl from an 18th century wealthy French family, who was mysteriously murdered by her lover. Falling head over heels in love, Eiri makes a blood pact with Cossette to always be by her side, and that’s when things go absolutely bonkers. Whether it be the opulent splendor of Cossette’s riches or the stinking bouquet of bloody offals that appears early on, nearly every second is a visual treat. And being an original video animation of only three episodes landing at about 40 minutes each, it’s a ride well worth the time. When nine ghost-story-loving school friends perform a supposed good luck ritual to ensure they’ll be friends forever, things take a turn for the worst. Failing to realize the ritual’s evil ties to their academy’s murderous past, the group finds themselves trapped within a nightmare version of their school, where each of them gets picked off in the most horrifying way. 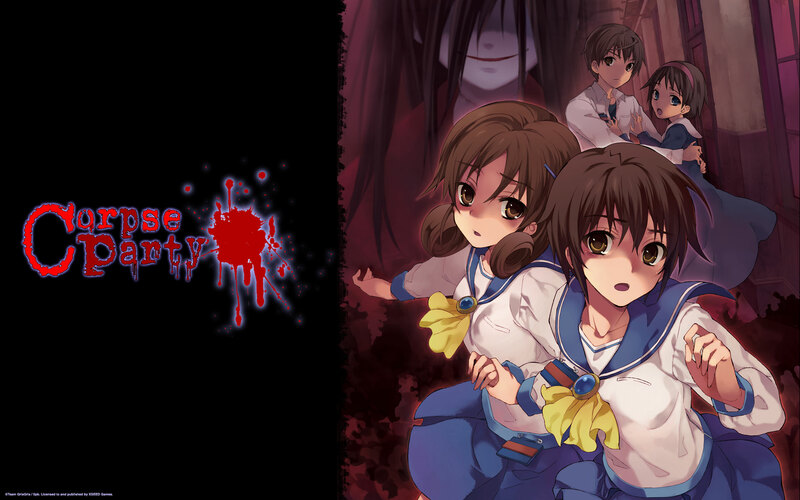 Definitely not for the squeamish, CORPSE PARTY is a great contender for being the most gruesome anime of all time, and that is saying a lot. There’s the classic use of human hair here and there, but the gallons of various bodily fluids spilled throughout and the impossible dismemberments on display have to be the main draw. Be sure to watch this if you don’t value your organs or gag reflex. I tried desperately to not put SCHOOL DAYS on here, but at every turn in constructing this list it reared its blood-soaked, kawaii schoolgirl head. Based off a series of visual novels and dating sims known for their…interesting…endings, the SCHOOL DAYS anime series seems to tritely follow a traditionally melodramatic high school love triangle yandere, but it steadily progresses deeper and deeper into much sinister territory. 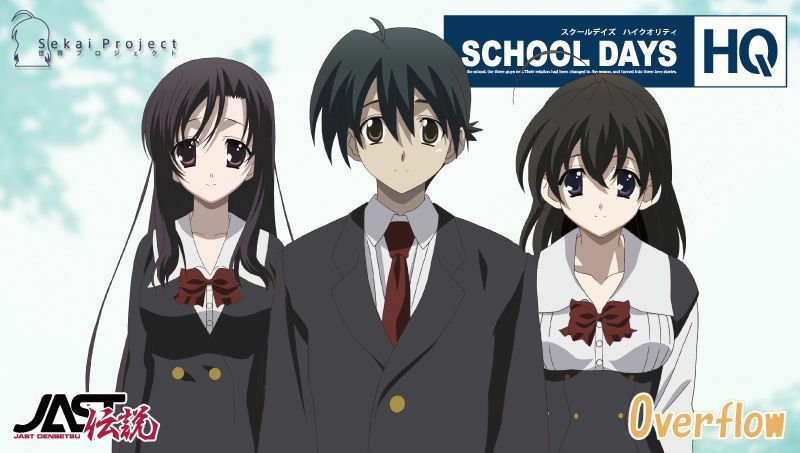 With characters representing turn-of-the-century Japanese statesmen, unnerving camera angles, and an ending that a Japan fresh from tragedy couldn’t handle, the SCHOOL DAYS anime rattled viewers to their very core. I still think about that conclusion every so often. For those down for a 12 episode burn capped with an intense finale, check this out. Here it is! In my opinion, this is the cream of the horror anime crop. Mysterious creator Ryukishi07 would be right at home alongside Anno and Urobuchi, as HIGURASHI presents itself in a way that no other series has. In the summer of 1983, youngsters in the quiet town of Hinamizawa slowly discover the sickening torture rituals upheld by their families. Playing into Eastern cyclical philosophies, as well as the course of the cicada life cycle (the “they” in the title), characters will be tortured to death and come back again. Once returning, our heroes will forget past events, but be ever so closer to uncovering the mystery that surrounds their parents’ occult ways, with madness and paranoia fast approaching. Torture scenes are extremely nasty, with plenty of gutting and heinous devices, my favorite being the fingernail remover. 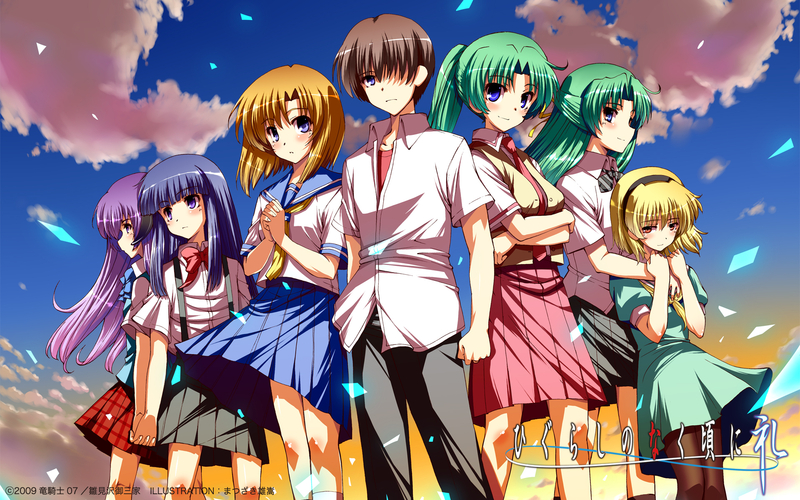 Watch HIGURASHI if sanity is no big deal to you. Like a soul who doesn’t know Jesus, floating without purpose, GAKKO NO KAIDAN was a rather aimless show. 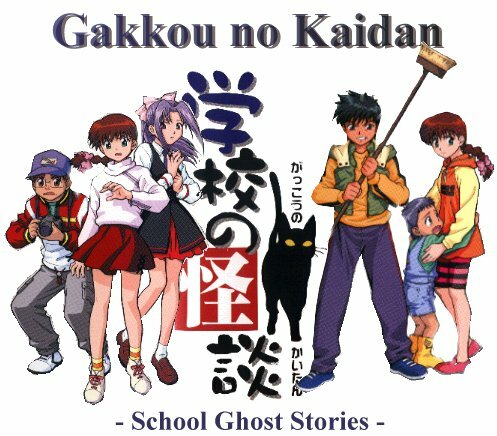 Essentially a bargain bin SCOOBY DOO, it featured four teens and their talking cat solving spooky mysteries, and received poor reviews in Japan. It wasn’t until the US release, localized as GHOST STORIES, that things got turned to eleven. Out of budget and fucks to give, the Japanese producers gave the American voice actors permission to record “whatever they wanted” for the English dub. The results were fascinating, to say the least. Mr. Alexander Ignacio Larios used to own a Sega Dreamcast. Follow him on Last.fm at: http://www.last.fm/user/KeroseneBath. on RateYourMusic at: https://rateyourmusic.com/~KeroseneBath. on Letterboxd at: http://letterboxd.com/Phallixander/.